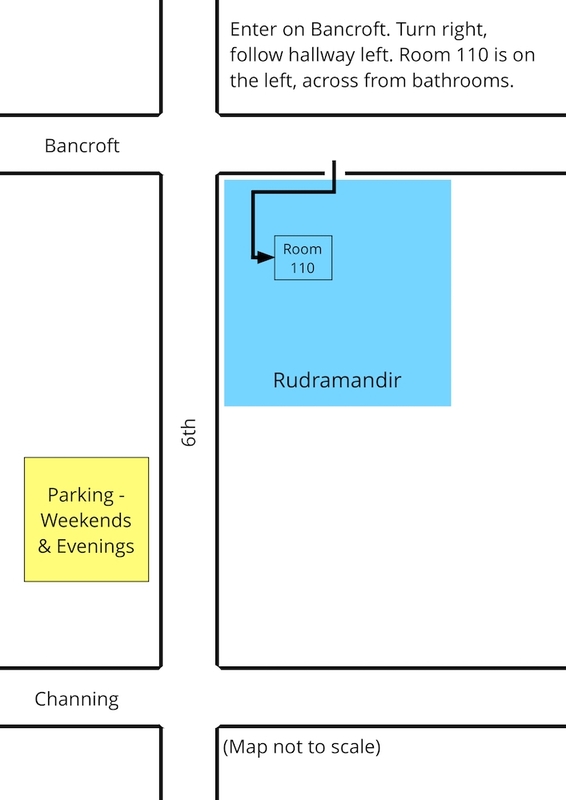 Finding Room 110: Enter Rudramandir on Bancroft. Turn right, follow the hallway left around the corner. Room 110 is on the left, opposite the bathrooms. 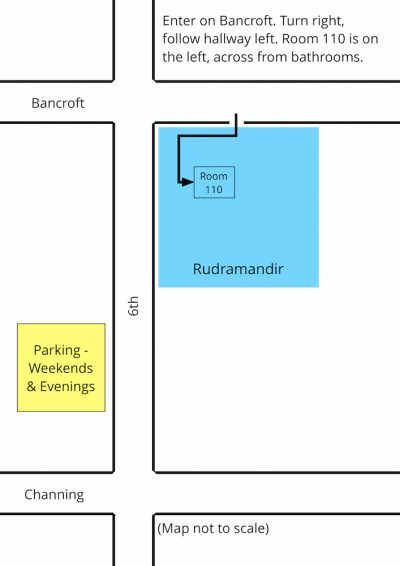 Parking: On evenings and weekends, look for the yellow “Rudramandir Parking” sign, across 6th st and slightly south from Rudramandir. Street parking is always fine (except for occasional street cleaning days — check street signs).